He's not allowed in there under normal circumstances lol! 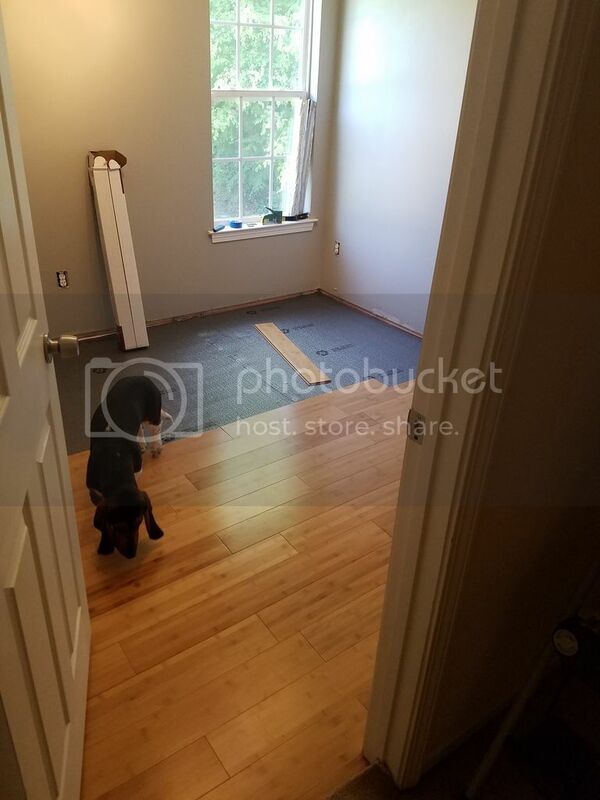 Did crown moulding and baseboards as well! Almost done! Yoooo such a handyman omg that looks amazing! 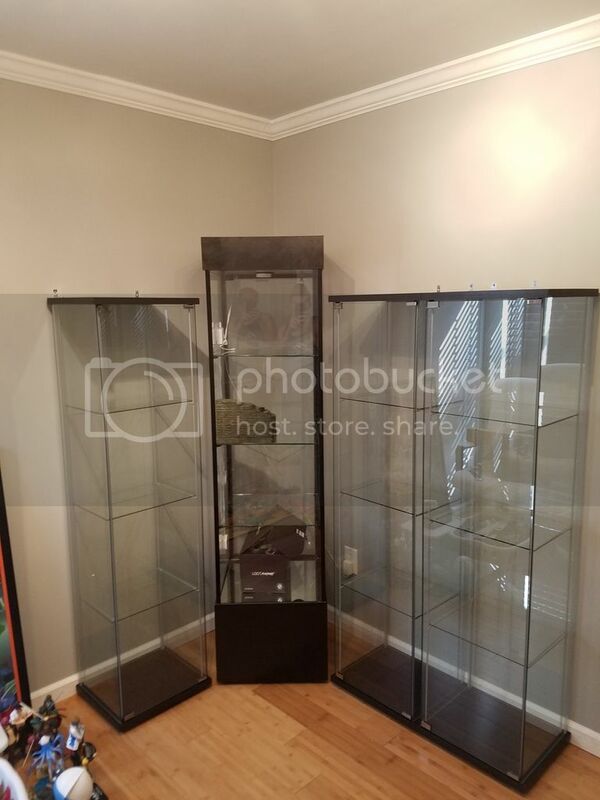 Got three more detolf cases from Ikea. Should have gotten 5 lol! At this point we are looking for a nice big comfy chair to put in the corner before we get more cases. I always come back to look at that poster, outstanding! So here's a peek at where I am. The small orange nook/closet will have shelves for manga and stuffed animals 😩for my wife. I put all the squid girl, free, and one piece figures in the case for safekeeping (once again my wife, no really!!) So almost done! I love that poster too! Well done Dave, well done. A one man show. I like it. You have a great collection, I'm loving that light up poster. Looking forward to more updates on your progress. 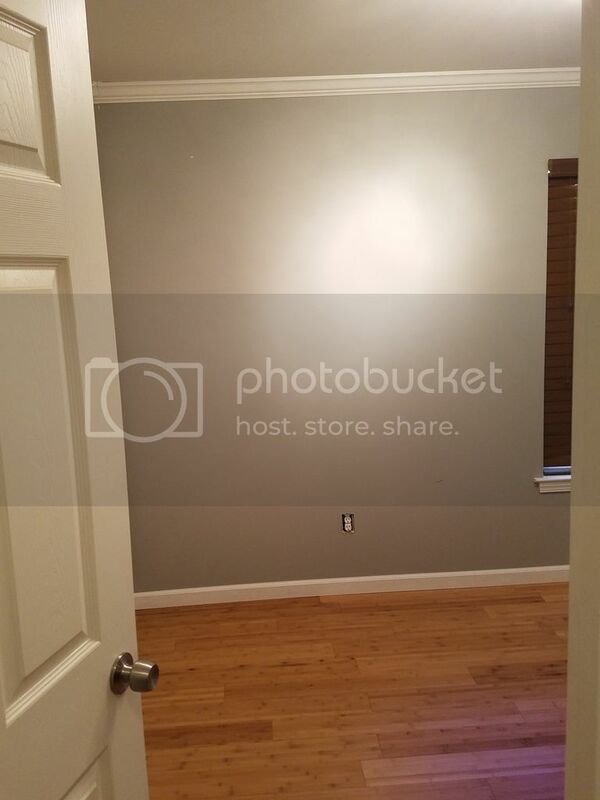 This room is going to look amazing! Thanks a lot! i finished building the shelves in my former closet I will post pics later now all that remains in that room will be about 4 more Ikea detolf cases. 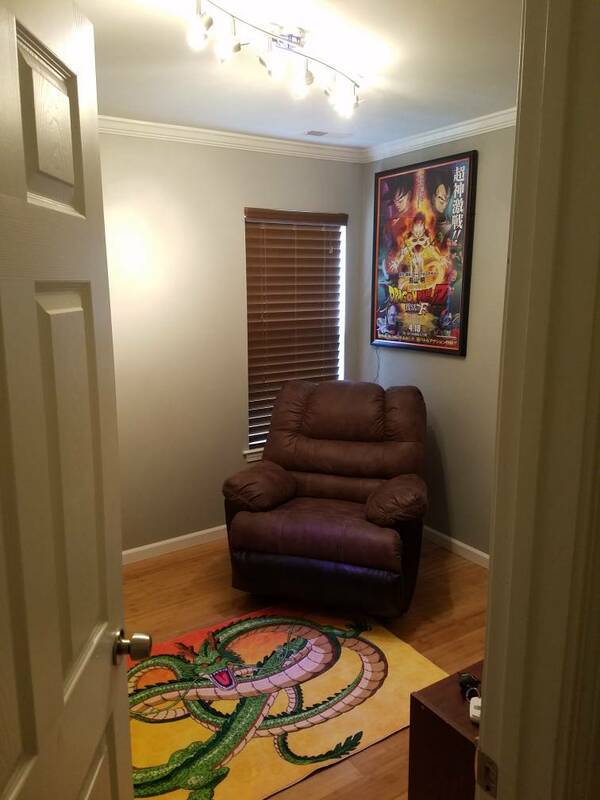 wow is there light on that fukkatsu no F picture on the wall?